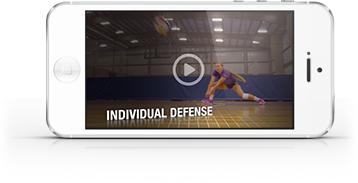 Coaches at every level use hitter vs. hitter drills to isolate attackers and pressure their performance. Unfortunately, some hitter vs. hitter drills leave non-live hitters disengaged because their attempts don’t matter. Mark Barnard, head volleyball coach at Oregon State, solves this problem with his +7 hitter vs. hitter drill. The coach determines which hitters are live (or able to score) each round. A team’s score increases by 1 every time their live hitter gets a kill and decreases by 1 every time any hitter makes an error. If a non-live hitter gets a kill, the score stays the same. The coach starts play by initiating a free ball and alternates free balls until one team reaches a score of +7. Setters have to manage how often they set the live hitters because it's easy to burn them out with too many consecutive attempts. Non-live hitters have to stay low-error to help their team win the round.